Make no mistake, harvesting honey is a lot of sticky work even in a tiny apiary like ours. There's the initial extraction in a very warm space, then filtering for a pure product, and finally, bottling of the honey. Every step takes time. I have to say, though, golden jars of honey are their own reward. We are ever grateful to our honey bees for their hard work. This year we are especially grateful because our bees faced a difficult season. Winter is hard on honey bees; most beekeepers in Northwestern Ontario reported significant winter losses this year. The bees die in the hive before favorable weather comes and they can begin foraging. Beekeepers will feed their bees if – as happened this year – the spring season is cold and wet. Honeybees are stressed by persistent dampness and the protracted wet weather we had this year was very hard on local bee colonies. The cold wet spring – and summer – had another impact. Plants grew so slowly that they fell far behind their usual blooming and fruiting time. Didn't we all long for some heat? The delay in bloom time is a big problem for honey bees which feed on the flowering of agricultural crops like alfalfa, clover and canola. Without abundant supplies of protein from plant pollen and sugars from flower nectar, honey bees struggle to nourish the developing bees (called brood) in their hive. They struggle too, to make stores of honey. Late in the season, honey bees in our region forage on wild plants like White Sweetclover (Melilotus alba), Goldenrod (Solidago canadensis) and Fireweed (Chamerion angustifolium). The blossoms of these plants are key to making honey stores that will see the colony through the winter. 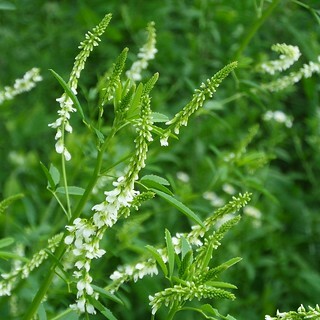 This year, these plants seemed less abundant, at least in the area near my rural home. I was saddened when I saw beautiful blooming stands of clover cut by the roadside mower operated by the township. Just another week or so of bloom time would have allowed our bees to gather the nectar from these plants. In our region, the honey bees are generally healthy. We have few diseases and the recently discovered outbreak of varroa mite (Varroa destructor) is, so far, limited in scope and manageable. Thankfully too, Northwestern Ontario beekeepers have not experienced the huge die-offs that were reported this spring in parts of southern Ontario. For this year, at least, we can say that weather and lack of suitable forage plants were the main stressors for our honey bees. The honey harvest in Northwestern Ontario was smaller than normal. If beekeepers ask you to pay more for their product, remember what you know now about colony loss and bad weather. And thank the bees for that jar of golden honey.